Readers will recall I recently posted about the power of a good macro lens. Just a few days ago, a coworker expressed an interest in macro photography, particularly in taking it to an extreme. He says he is interested in extreme close-ups of spiders and insects. 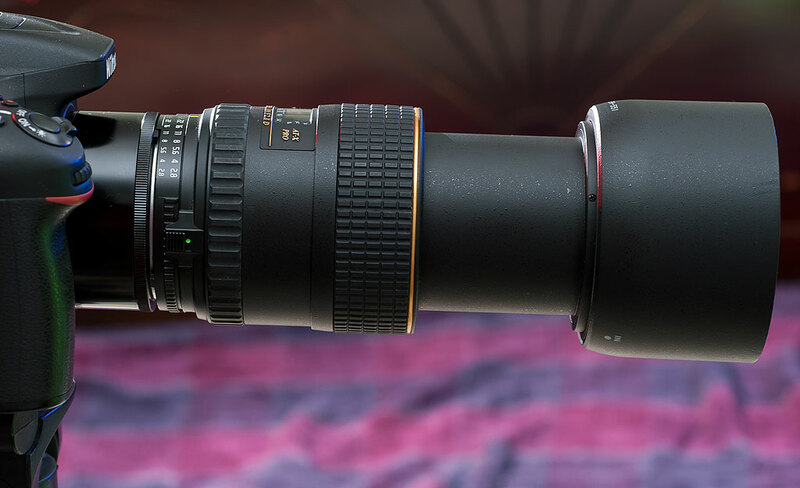 Dedicated macro lenses (which Nikon calls “micro”) are indispensable for this purpose. Such lenses are also the only lenses optically fit to take advantage of extension rings, which sit between the camera and the lens, allowing even closer focusing. I attached my 32-year-old Nikon 27.5mm extension tube to my Tokina 100mm f/2.8 macro, allowing me to make super-macro images. It was with this in mind that I got out my Tokina 100mm f/2.8 Macro and attached it to my 32-year-old Nikon 27.5mm PK-13 extension ring. Originally sold to go with the manual focus 55mm f/2.8 Micro-Nikko (a great lens I sold about 12 years ago), this accessory doesn’t have any electrical contacts, so it won’t talk to modern cameras, but it will operate in manual exposure mode. In most situations at the magnifications this combination provide, manual focusing is definitely recommended. 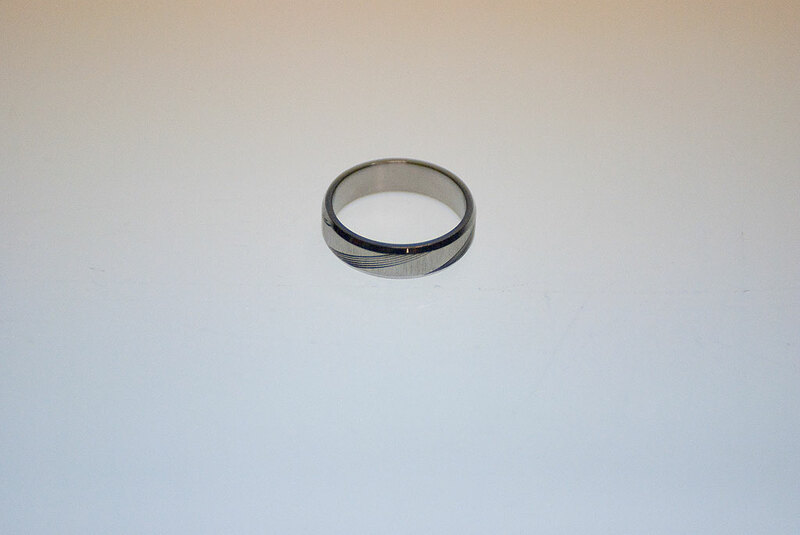 For comparison, here is an image of one of the stainless steel rings I wear on the opposite hand from my wedding ring, shot at the closest focus distance with a regular non-macro lens. I also mentioned reversing rings a couple of years ago, and while you can certainly get super-close-up with a reversing ring, it would be difficult photographing living creatures with one because it requires the slow process of focusing with the lens wide open, then setting the aperture before shooting. Extension rings are available in various sizes, and can be stacked to add even more extension. My coworker who wants to explore this option is also an accomplished bird watcher and photographer. I will be interested to see what he can do with this setup, particularly with spiders, and what lens and/or extension tube combination he ends up buying. 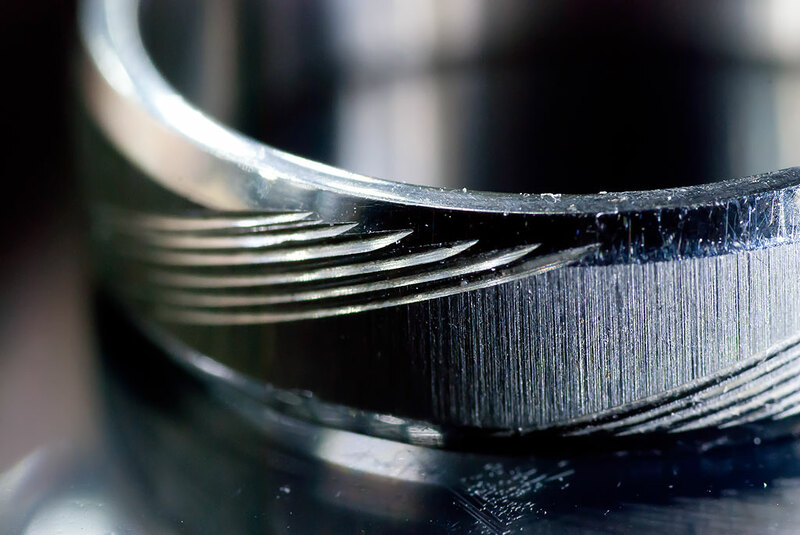 I made this image of one of my stainless steel rings at the maximum magnification I can make, combining the excellent Tokina 100mm f/2.8 with an old Nikon 27.5mm extension ring. This image rivals the abilities of the naked eye. In case anyone wants another example, here is a single Rice Krispy, shot using a 50mm macro lens, extension tubes, and a teleconverter.